Joy has enjoyed being a part of our team since 2009, fitness and healthy living have been an integral part of her life for the past 20 years. In 1999, she received her diploma in Professional Fitness and Nutrition from the Professional Career Development Institute’s School of Fitness and Nutrition. She also received her Personal Trainer Certification from the Aerobics and Fitness Association of America. 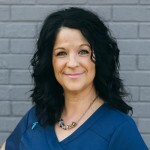 She looks forward to helping others enjoy the benefits of healthy living, and showing them how chiropractic care is an important part of that lifestyle. 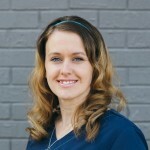 I came to Preston Chiropractic in 2011 from Norton Healthcare where I was a Hospitality Associate for over five years. In 2006 I graduated with honors from the Medical Assistant program at Spencerian college. My sister has been a patient of Dr. Bianco’s for years and when given the opportunity to join the team, I knew that this was where I belonged. I love my job and my patients bring a smile to my face every day. I also get adjustments on a regular basis and can’t remember ever feeling as good as I do now! If you have any questions, please send us an email or contact Preston Chiropractic & Rehabilitation today. We look forward to assisting you with anything you may need!